Valentino Rossi talked about the problems of Yamaha and his team colleagues just before he broke a break in the right track and calf during an enduro accident on Thursday. As the world's fourth, Valentino Rossi is just 26 points behind the Misano GP, behind World Cup leader Andrea Dovizioso. But by his enduro accident and the subsequent operation, Rossi's hopes for the tenth World Championship title are at least for this season. 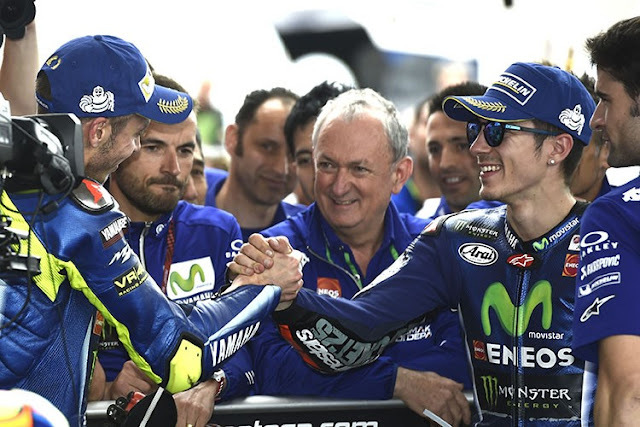 Shortly before his accident, the old master spoke with "motogp.com" about the problems of Yamaha and his new team colleague Maverick Viñales. In 2017, Yamaha already experienced a few blows in the title fight. In addition, the Yamaha Yamaha Yamaha Yamaha Yamaha Zarco and Folger were already several times in front of Yamaha factory pilots. "As I drove the new bike for the first time, I did not feel as comfortable as last year," Rossi said. "But we worked a lot with Yamaha. They have helped me a lot to find a solution to the problem. We have improved, but we still have problems with the tires and in a few other areas. Especially in the second half of the race I am not strong enough. The situation is simple: Yamaha has tried to solve a problem with tire wear. However, this modification caused other problems that we did not expect. Also Yamaha did not expect it. From this moment on we tried to solve that. It's true, that every rider has a different style, but a good bike must be good for me, Viñales, Zarco and all. A bad motorcycle is bad for all. I think we all end up working in the same direction. " "If you get on the track on Friday, it is always a big surprise this year. It's like throwing a coin. Is it good or bad for you? I have many examples: I thought I was suffering from Austin, but I was second. In Jerez I thought I could win, but I ended up in 10th position. Then I thought I could win in Barcelona, ​​but it was very slow. 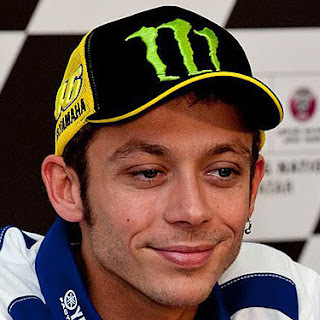 Unfortunately, we do not know what to expect, "Rossi laughed. The old champion says of his new team colleague Maverick Viñales: "When you come into the pits, you always check your position and then your team colleagues. I like Maverick. We also respect the route. He has very great talent and is cursed young. He's very strong. I can learn from him. Of his skills on the bike and his driving style. We also agree on the development. "